This stem is designed to complement the Fizik Cyrano handlebars and seatposts. 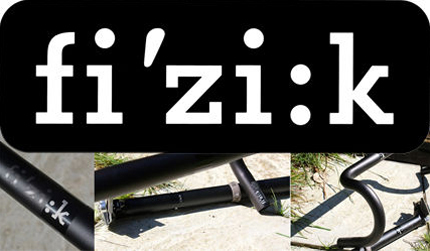 Please read the Wiggle review of the Fizik Cyrano R1 handlebar written by a member of staff. Fizik Cyrano R1 Road Stem is rated 4.9 out of 5 by 39. Rated 5 out of 5 by TRackham from Beautifully Made Fantastic design and great value. Lightweight (comparable to some carbon stems) with titanium bolts which add a nice detail. Rated 5 out of 5 by vwtomus from Lightweight I'd bought my bike with a rather expensive stem and it was too long for me so I replaced it with the fizik. I weighed the items just out of interest and noticed that the titanium bolts weighed more than the standard bolts on the other stem (I've read they're meant to be a weight saver?) This was made up by the fact the faceplate weighed a lot less than the carbon faceplate on the other stem due to less material. More importantly, this product is great and looks very nice! I even bought a saddle to suit. Would recommend. Rated 5 out of 5 by Hurco from OK, but returned it Was looking for an alternative stem and tried the Fizik R1, however I chose a shorter length than my existing stem and found it uncomfortable to ride with it on, so returned it for refund. Stem was good quality, just wrong length. Rated 5 out of 5 by SGGG19 from Brilliant stem Several things sets this stem apart, the screws are very high quality and the faceplate is narrower and perfect for aero road bars. Bar fly has a great garmin mount that allows for the Garmin to be perfectly centered too Great must have item. The stack height is 40mm. Would this stem fit a Specialized Roubaix Expert? When fitting the stem, how do I make it either 7 + or -7 degrees? I can confirm this stem will fit to a Specialized Roubaix Expert. The stem can be fitted either way up enabling it to be plus or minus 7 degrees. Is the length stated for these stems the overall length or, the distance between the two holes centres? I can confirm that the length is measured centre to centre between the two clamps. The stem uses titanium torx bolts. What bolts are they? Hi - I have an aero handlebar with limited available clamping space. Can you confirm the width at the clamp at the widest point? The clamping area is approx 40mm. Yes this will be compatible, Hope this helps!